Vera Cooper Rubin produced clear observational evidence in the 1970s that finally convinced astronomers worldwide that the vast bulk of the mass in the universe is invisible and unknown in origin and character. Today it is called, for want of a better name, “dark matter” because we cannot see it with any known form of astronomical detector, even though we can detect its presence indirectly by how its mass distorts the behavior and motion of matter we can see, like planets, stars, galaxies, and us. Rubin, the second daughter of parents who worked for the Bell Telephone Company in Philadelphia, was born in 1928. Her father was a mathematically talented electrical engineer and her mother was a gifted temple choir singer. When she was about ten, her family moved to Washington, DC, where she attended regular schools. She eventually entered Vassar College, graduating in 1948 with a degree in astronomy, a passion for which she had held since childhood. In the summer of 1947, she met a physics student named Bob Rubin, who was just about to return to Cornell on the Navy’s B-12 program. By October, after a fateful football game at Cornell, they wrote their families that they would marry, and after graduation she moved to Cornell where she completed a Master's degree in 1951 while Mr. Rubin completed his PhD. After graduation, Bob took a position at the National Bureau of Standards, which brought the Rubin family back to Washington. By then, Vera had gained practical astronomical experience, working summers at both the Naval Research Laboratory and the US Naval Observatory. She soon entered Georgetown University intent upon completing her PhD in astronomy, something her husband enthusiastically supported even though they were now parents of a rapidly expanding family. Georgetown was the only university in the area to offer the PhD program in astronomy, but the Jesuit astronomer Father Francis Heyden taught all his courses at night. This was a challenge for the Rubins but they persevered, with Heyden’s kind and steady support. When it came time for a thesis, Father Heyden helped to get her in contact with the famous theoretical physicist and cosmologist George Gamow, who was then working at the nearby Applied Physics Laboratory and was an adjunct at George Washington University. Gamow accepted her as a student, and by 1954 she had her PhD with a thesis on the nature of the extragalactic universe. With her degree and growing family, she taught courses at Georgetown for several years, helping to provide advanced training to staff at the Naval Observatory and at other government bureaus. She ultimately won a research post at the Carnegie Institution of Washington’s Department of Terrestrial Magnetism, which owned and operated, among other facilities, the world-class Mount Wilson Observatory in southern California. The Carnegie Institution was then also pioneering a new form of magnetically focused electronic image tube that promised to greatly augment the sensitivity of telescopes of all kinds. Collaborating with the gifted instrument designer Kent Ford, they built a special spectrograph utilizing the image tube. Vera Rubin carried this instrument to the great telescopes of the West for observing runs. With the extreme sensitivity of their new detector and the power of the world’s greatest telescopes, Rubin and Ford were able to record the spectroscopic signatures of tiny portions of distant galaxies. Eventually she showed that the motions of these globs around the center of their galactic disk did not diminish with distance as expected, but remained high, so high in fact that there had to be an enormous amount of invisible mass present throughout the entire galaxy: dark matter. 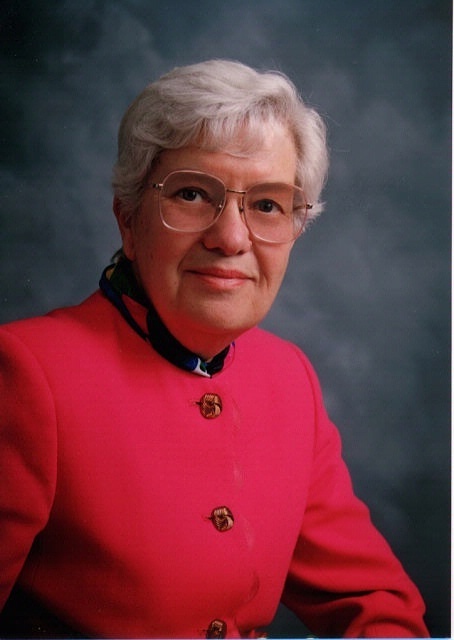 Vera Rubin has continued to observe galaxies at greatly varying distances and sizes. No matter where she looks, she finds the same phenomenon. The universe will never be the same again. This brief biography is based upon a series of oral history interviews with Vera Rubin held at the American Institute of Physics and at the National Air and Space Museum. The Ford-Rubin spectrograph is on display in the Explore the Universe gallery.